On December 28, 2015, just four days after his 70th birthday Lemmy Kilmister of Motörhead died in his two-room apartment two blocks away from his favorite Sunset Strip hangout, the Rainbow Bar and Grill. On January 9, 2016 a Memorial for Lemmy was held simultaneously at the Rainbow Bar & Grill, The Roxy & The Whisky A-Go-Go on the Sunset Strip. 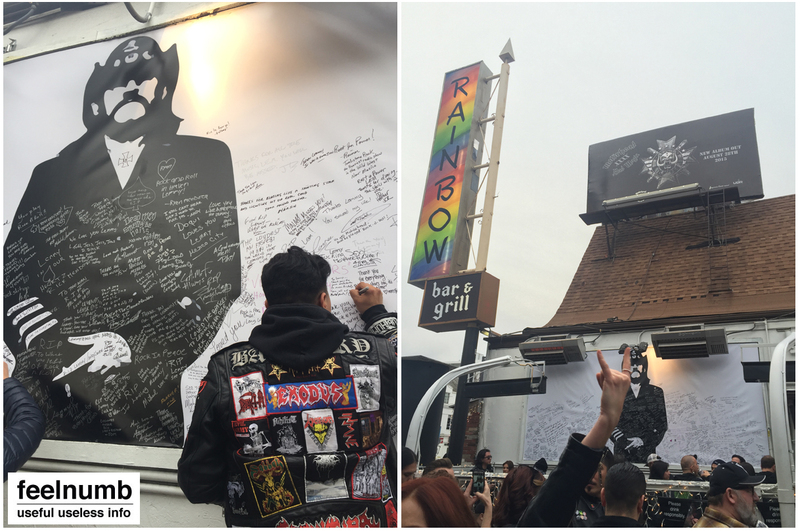 Thousands of fans crowded the streets to pay respect to Lemmy and were able to sign a giant poster in the Rainbow patio. feelnumb.com left it’s own little message to the Legend. 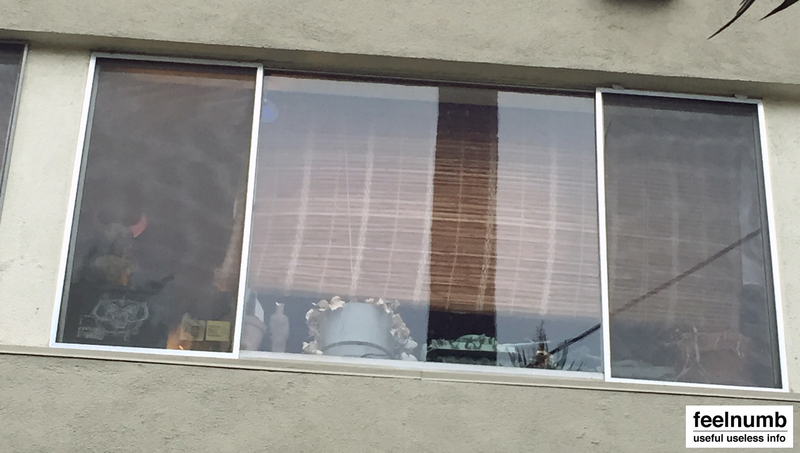 When I made my way down to Lemmy’s apartment building two blocks away I was dealt a bit of luck. A Domino’s Pizza delivery man was making a delivery to the apartment building and I walked right in and got these exclusive photos of the apartment complex where he had lived since 1990. 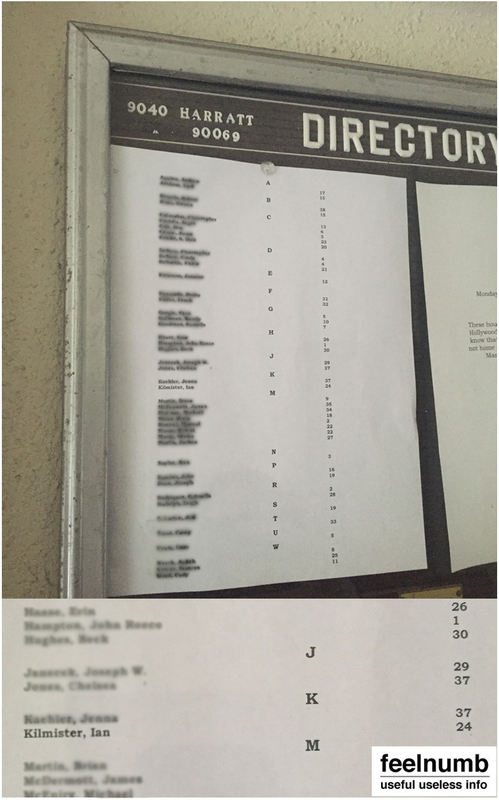 Ian Kilmister’s name apartment #24 is still on the Harrett Tower apartment directory. 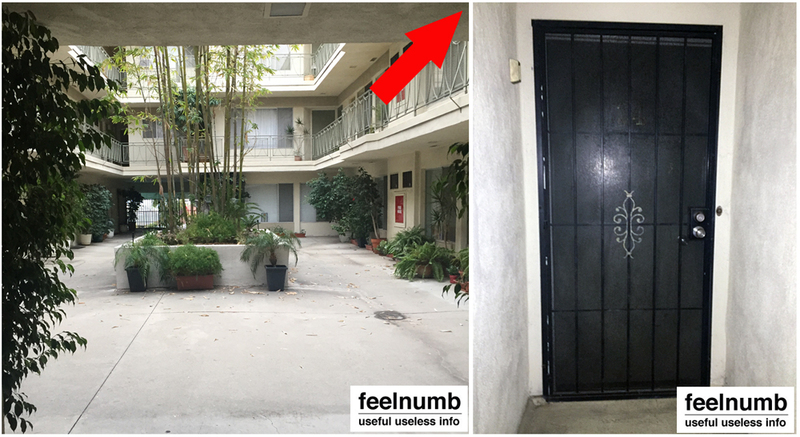 Here’s the corridor of the building and the front door of his second floor apartment. Ian “Lemmy” Kilmister 9040 Harratt Street #24 West Hollywood California 90069. 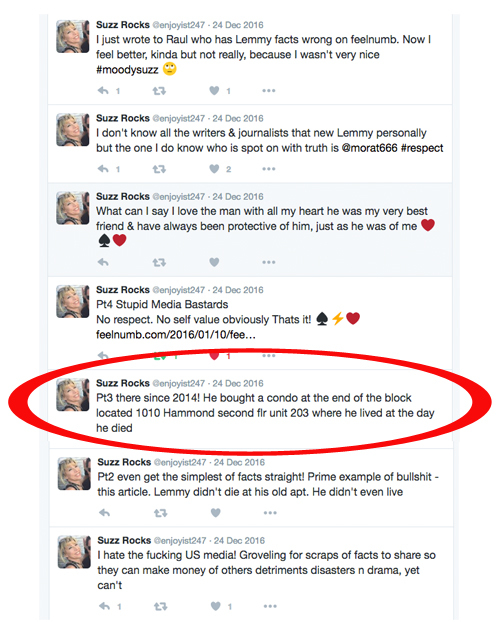 In a series of tweets and very rude e-mails directed toward myself and feelnumb.com, a member of Lemmy’s “inner circle” Suzz Rocks (Twitter @enjoyist247) informed me that Lemmy did not die at the apartment above but rather in a condo he had purchased down the street in 2014. After doing some fact checking and search of public records, seems like “Kilmisters Lil’ Sister“ as she said Lemmy nicknamed her is right on the money!!! 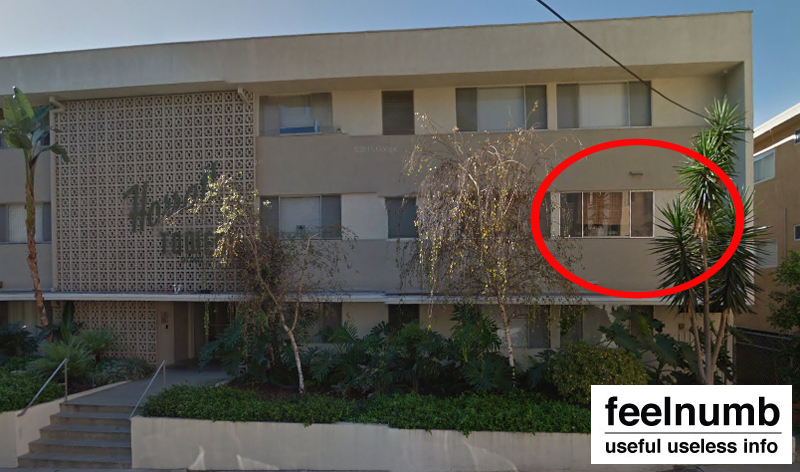 Lemmy did indeed buy this condo at 1010 Hammond Street #203 West Hollywood, California. 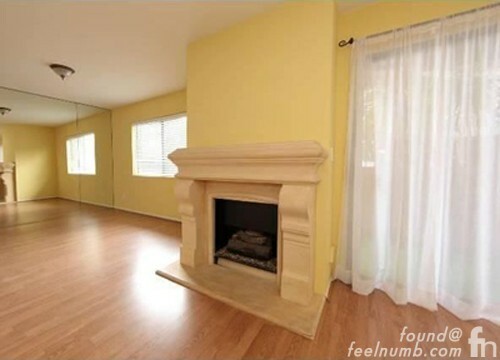 Here is an old photo of the inside of the apartment used for the listing when it was sold to Lemmy in 2014. Thanks for the inside info Suzz hopefully you no longer consider me a “DIRTBAG WANNA BE ROCKWRITER”. Check out some more of feelnumb.com death locations.